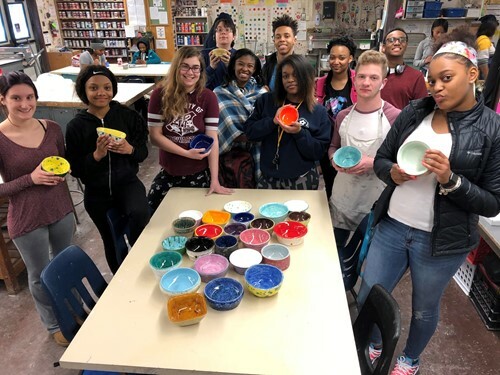 Students in the Advanced Ceramics class at Brush High School recently applied their artistic talents to support local area food banks and raise awareness regarding food insecurity as part of the 4th annual Empty Bowls Event. The fundraiser will be held on Friday, April 12th from 5-7 PM at the Eastlake North High School Café. 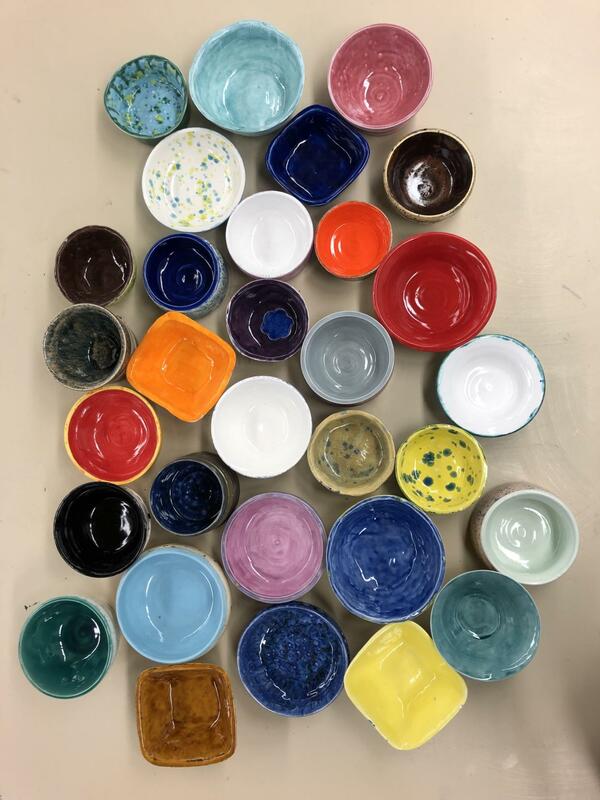 In exchange for a cash donation, registered guests will enjoy a dinner featuring multiple soup tastings served in beautiful ceramic bowls created by art students from Brush and other area high schools. Local restaurants and businesses have also generously donated to provide an evening of delicious food and live entertainment for a great cause. One-hundred percent of the proceeds will be donated to local area food banks and guests will be able to keep their ceramic bowl as a powerful reminder of the “empty bowls” of individuals and families who experience hunger in Northeast Ohio and around the world. Thank-you to all participating students for supporting the 4th Annual Empty Bowls Event and helping local families in-need.